Sebi says Fortis Healthcare and Fortis Hospitals diverted funds through their firms Best, Fern, and Modland to the parent companies for the ultimate benefit of Shivi Holdings, Malav holdings, Shivinder Mohan Singh and Malvinder Singh. 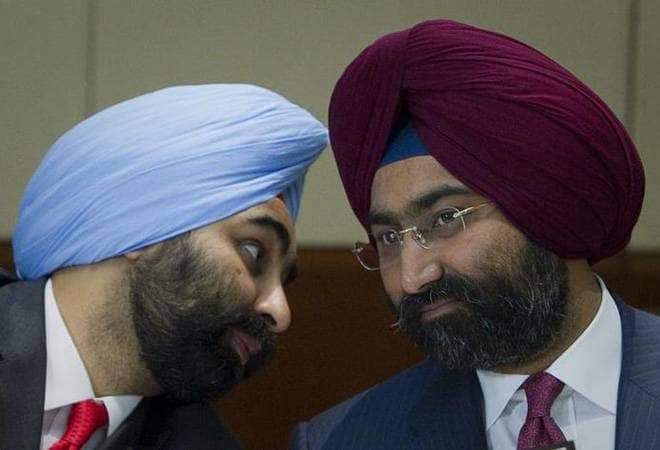 In a big blow to the Singh brothers, Sebi has found that Malvinder Singh, Shivinder Singh and eight other entities acted in a "fraudulent manner" and diverted Rs 403 crore from Frotis Healthcare Ltd to the promoters and their entities. The other eight companies mentioned in the Sebi order include: Fortis Hospitals Ltd., RHC Holdings Ltd., Religare Finvest, Shivi Holdings Pvt Ltd., Malav Holdings Pvt Ltd., Best Healthcare Pvt Ltd., Fern Healthcare Pvt Ltd. and Modland Wears Pvt Ltd. The order says that Fortis Healthcare Ltd. and Fortis Hospitals Ltd. diverted funds through Best, Fern, and Modland to the parent companies, RHC Holding and Religare Finvest, for the ultimate benefit of Shivi Holdings, Malav holdings, Shivinder Mohan Singh and Malvinder Singh. "Fortis Hospitals Limited (FHsL) entered into multiple structured transactions between June 30, 2016 and June 30, 2017, which were prima facie fictitious and fraudulent in nature. These pertained to various ICDs (loans) granted by Fortis Hospitals to Best, Fern and Modland," Sebi said. The market watchdog said that in reality, these ICDs were not squared off but were "fictitiously and fraudulently" shown to have been repaid through a structured movement of funds between FHsL and the borrower companies at the end of each quarter. This was done to give rise to an accounting fiction that the payment due for all the ICDs had been received. Sebi said FHL through Fortis Health Management Limited had initially advanced loans in the form of ICDs to Best Healthcare, Fern Healthcare and Modland Wears to the tune of Rs 576 crore -- Rs 176 crore to Best, Rs 200 crore to Fern and Rs 200 crore to Modland -- in December 2011. FHML was later merged into Fortis Hospitals. The Sebi found the ICD amounts were later transferred to promoters or promoter connected entities of Fortis Healthcare. Also, the regulator found several other transactions between the 3 borrower companies and the promoters. Sebi had appointed a forensic auditor, MSA Probe Consulting Pvt Ltd on May 10, 2018, to examine the alleged diversion of funds. The forensic auditor, in its report on August 16, said the ICDs worth Rs 98 crore issued to Best Healthcare are yet to be recovered. The amount was used by RHC Holding to pay for India bulls Mutual Funds. Similarly, loans worth Rs 105 crore given to Fern were utilised by RHC Holding to pay for HDBF. Modland's loans worth Rs 200 crore were paid to Religare Finvest twice, confirmed the forensic auditor. In total, around Rs 403 crore (excluding interest), worth ICDs are yet to be paid. Explaining the modus operandi, Sebi said these loans were given in the beginning of each quarter and returned by the companies by the end of the quarter, and thereby never reported in the balance sheet as the outstanding amount at the end of the quarter was zero. However, for the quarter that ended September 2017, the amount was not returned by these borrower companies. "The auditors mentioned that they raised the issue with the company and did not receive any response," said the Sebi report. On independent examination of the filings of these 3 borrower companies with the Ministry of Corporate Affairs, it was found that these companies didn't have enough cash flows to repay the amount to Fortis. Also, these companies had the same set of directors. The board and audit committee of Fortis have not validated the accounts for the quarter ended September 2017 and December 2017.